INDIANAPOLIS (AP) — Saplings from the chestnut tree that stood as a symbol of hope for Anne Frank as she hid from the Nazis for two years in Amsterdam are being distributed to 11 locations in the United States as part of a project that aims to preserve her legacy and promote tolerance. The tree, one of the Jewish teenager's only connections to nature while she hid with her family in a Secret Annex in her father's company building, was diseased and rotted through the trunk when wind and heavy rain toppled it in August 2010. 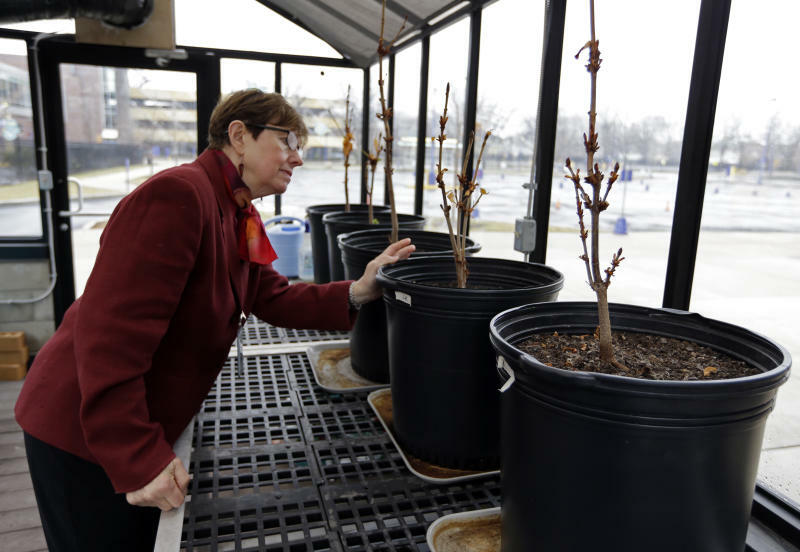 But saplings grown from its seeds will be planted starting in April, when the Children's Museum of Indianapolis will put the first one in the ground. The 11 U.S. locations, which also include a park memorializing victims of the Sept. 11, 2001, terrorist attack in New York City, an Arkansas high school that was the heart of the desegregation battle and Holocaust centers in Michigan and Washington state, were chosen by The Anne Frank Center USA from 34 applicants. Winners were selected based on their commitment to equality, demonstration of the consequences of intolerance or historical significance to civil rights and social justice in the U.S., according to a news release from the center. "The heart of our mission is tolerance. ... Tolerance is really essential for being able to bring better welfare to everybody," said center spokesman Mike Clary. The tree is referenced several times in the diary that Anne Frank kept during the 25 months she remained indoors until her family was arrested in August 1944. "Nearly every morning I go to the attic to blow the stuffy air out of my lungs," she wrote on Feb. 23, 1944. "From my favorite spot on the floor I look up at the blue sky and the bare chestnut tree, on whose branches little raindrops shine, appearing like silver, and at the seagulls and other birds as they glide on the wind." 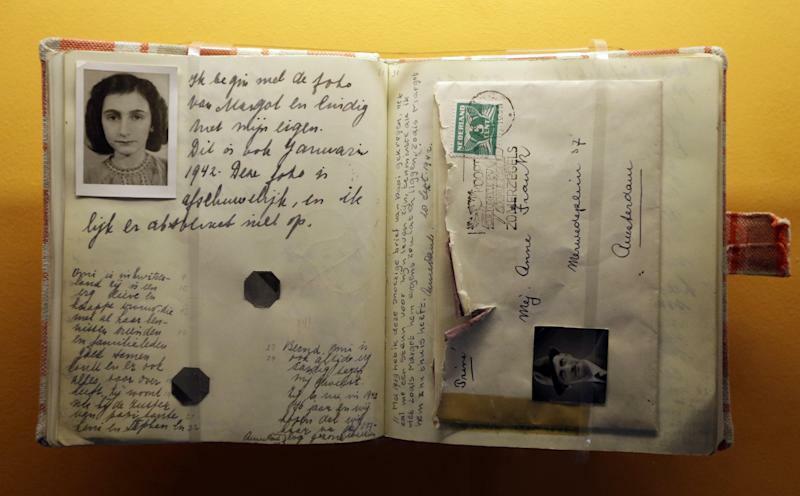 Her father, Otto Frank, was the only member of the family to survive the concentration camps, and upon his return to Amsterdam, he was presented the diary, which had been saved by a family friend who had helped hide the Franks. The diary was first published in 1947 and would be translated into many languages and adapted for the stage and screen. A global campaign to save the chestnut was launched in 2007 after city officials deemed it a safety hazard and ordered it taken down. The tree was granted a last-minute reprieve after a battle in court, but age and nature ultimately brought it down. Jeffrey Patchen, president and chief executive officer of the Children's Museum of Indianapolis, said the sapling planted in the museum's Peace Park will stand next to a limestone carving of a podium with Anne's diary on it. A mock chestnut tree looms over the entrance to the museum's permanent Anne Frank exhibit, which features live performances in a space that teaches visitors about life in the Secret Annex where the Franks hid. "We're taking the lead in producing the educational materials that will go along with the tree," Patchen said. "We're producing this unit of study ... that focuses heavily on the humanities and presents the tree through selections of her diary and ... as a symbol of renewal." Central High School in Little Rock, Arkansas plans to plant its sapling in September, on the 56th anniversary of the previously segregated high school's integration. A group of black students called the Little Rock Nine, who braved angry mobs in the fall of 1957 to integrate the school, became a symbol of the civil rights movement. "Both (Anne Frank and the Little Rock Nine) dealt with hatred from ignorant people," said Nancy Rousseau, the school's principal. "All of them displayed great bravery and courage, which wasn't necessarily seen then or now, also, in adults. They were all children." Other states that have sites receiving saplings are Massachusetts, Idaho and California. The Anne Frank Center wants the sapling project to go beyond the initial planting of the trees. 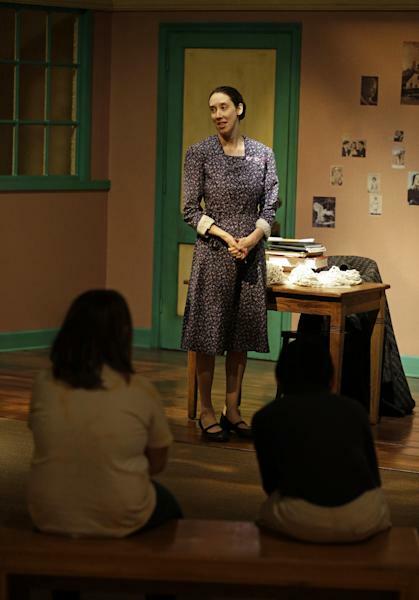 The center is launching an education initiative called Confronting Intolerance Today that will encompass a "teaching and discovery" website to create dialogue and show how the sites are using the sapling project to advance tolerance, a distinguished speaker series and temporary exhibits from the center that will show the history of Anne Frank. "We know that the tree was a sign of hope of Anne Frank who was unable to leave her living quarters," said Yvonne Simons, executive director of The Anne Frank Center USA. "She wrote about it in a diary. For us, the tree portrays a symbolism of hope and growth and renewal."